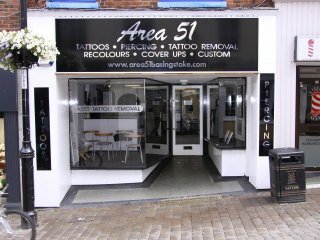 Please find below details of Area 51 this tattoo studio is located in the town/city of Basingstoke in Hanpshire. Please click on the image below for enlargements. 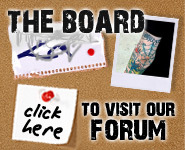 If you own this studio and would like to submit a video please log in to your secure studio area for more info. If the image appears blank no video has been submitted. Click above image to view video.